It’s a pity that smartphones are getting better and better with time but most of the focus is being put on their displays and specifications. Almost none of the manufacturers have done anything about most needed accessories that come with these phones. The most important one is earphones, also called headphones or earbuds. The same old wired headphones have always been a hassle when it comes to hearing music with comfort. Moving your hands while talking or exercising can cause you to tug the cable out of your phone and if it happens frequently your earphone jack starts acting up soon. 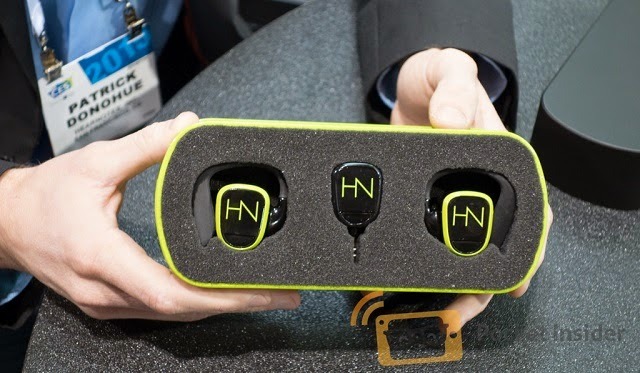 HearNotes wirefree earbuds is the new solution for music listeners. These headphones are meant to make you go wirefree. You can hear your favorite music while exercising, working or lying in your bed with comfort. These earbuds don’t have any wires needed and they even look stylish. They are meant to be for both ears unlike Bluetooth earbud that goes in only one ear. Furthermore, they are meant to enhance your music listening experience by providing the sound quality you expect on a CD. Music listeners will now be able to enjoy high quality music wherever and whenever they want. The HearNotes project was launched in San Francisco, California. The motivation behind the project was to provide music listeners across the globe with wirefree music listening experience. The good part is that the team responsible for creating this product has made everything wireless and wirefree about this earbuds. They even charge without needing any wires. The charging pad comes with the earbuds and when you are done charging you can use the same pad as a carrying case for your earbuds. These are in-ear earbuds that will go inside your ears and the supporting design around them makes them fit any ear shape and size perfectly. HearNotes WireFree earbuds come with a transmitter. This is the transmitter you will insert in your device playing music to hear it on your earphones. It transmitter will fit into any device that has a 3.5mm jack on it. You could insert it in your smartphones, mp3 players, TVs and anything with a 3.5mm jack. The best thing about the transmitter is its range of 50 feet. Within 50 feet you will be able to get the signals and hear your music away from your media playing device. This really makes exercising while listening to music a comfortable experience. After a full charge session the earbuds are supposed to last for 5 hours – means you are good to go if you like to hear music during exercise. One full charge means you can go to office while hearing music, enjoy some during your break and return while listening to your favorite tracks with ease. The earbuds are said to deliver high quality music and are compatible universally with any devices with 3.5mm jacks. The guys making them need money to extend their project and provide world with the first and best wirefree earbuds. You can help them at KickStarter.